Dr. Taylor is the daughter of Mr. Frank Smith and Ms. Leola Aiken-Byas. She was born in Brooklyn, New York, reared in Moncks Corner, South Carolina and attended Berkeley County Schools. In 1982, she graduated from Berkeley High School and was accepted at Baptist College in Charleston, South Carolina (currently Charleston Southern University) to begin her college education. In May of 1986, she received her Bachelor of Arts Degree in Communication Arts with a minor in Religion. Dr. Taylor was the first African-American (May 1986) student to receive the Myrtle E. Hamerick Award citing the student “who exemplifies the highest virtues of womanhood”. In 1986 she was also selected by Who’s Who Among Students in American Colleges and Universities. Ten years later, through much hard work and passion, her graduate studies were completed. She received her Masters Degree (1995) and Doctorate Degree (1996) in Christian Psychology from Jacksonville Theological Seminary and Truth Bible College and Seminary. At Truth Bible College, she later served on the Board of Directors and served as an adjunct professor. During the summer of 2002, Dr. Taylor continued her professional studies in Christian Education at Pensacola Christian College. Dr. Taylor is the wife of Dr. Jerome A. Taylor. The Taylor’s have been married since March 1992. Through their ministry they share the joy of marriage with many other couples in guidance and/or marriage enrichment forums. The Taylor’s have three beautiful daughters: Destiny Joy, Dynasty Sophia, and Divinity Victoria. Family life is very dear to her heart. She treasures her time spent with her husband and children! She is petite, yet powerful, as she inspires and motivates! Dr. Taylor has a passion to minister the Love of God through the musical expression of singing. She has provided music on the Trinity Broadcasting Network’s local affiliate station in Jacksonville, Florida, ACTS Network in Jacksonville, Florida, and WCSC-TV Chanel 5 Inspirational Sounds Broadcast in Charleston, South Carolina. Not only does she minister in song, she is also a motivational speaker for various churches, civic, and governmental organizations. 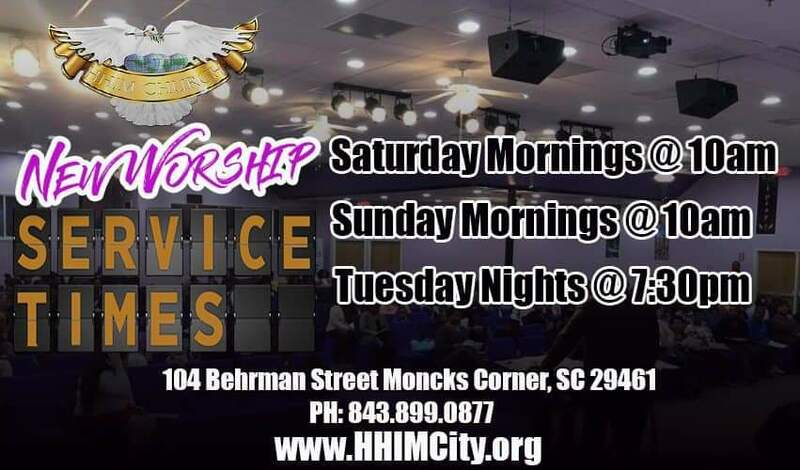 Dr. Taylor currently serves as co-pastor of Heart to Heart International Ministries in Moncks Corner, South Carolina where her husband is the senior pastor. 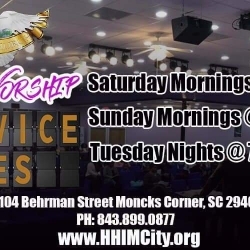 Their weekly church broadcast can be seen in the Berkeley County area on Berkeley Cable TV’s Homestar Chanel 6. Dr. Taylor is also principal of He Arts Christian Academy, a Member of South Carolina Association of Christian Schools (SACS) and in 2009 she was elected the first African-American female to Moncks Corner, South Carolina Town Council.